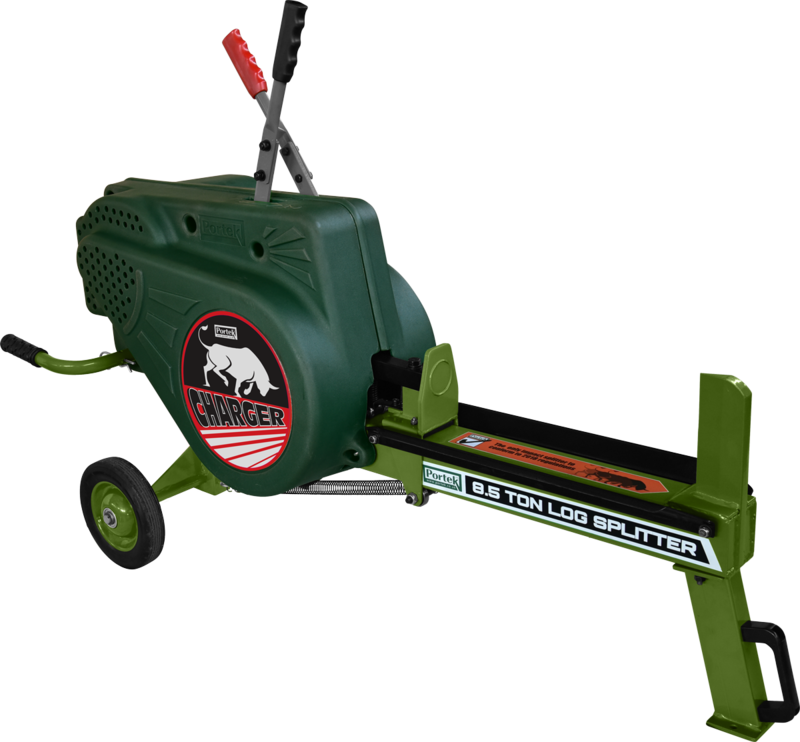 The ONLY Impact Log Splitter Available That Is Compliant With CE Standards! 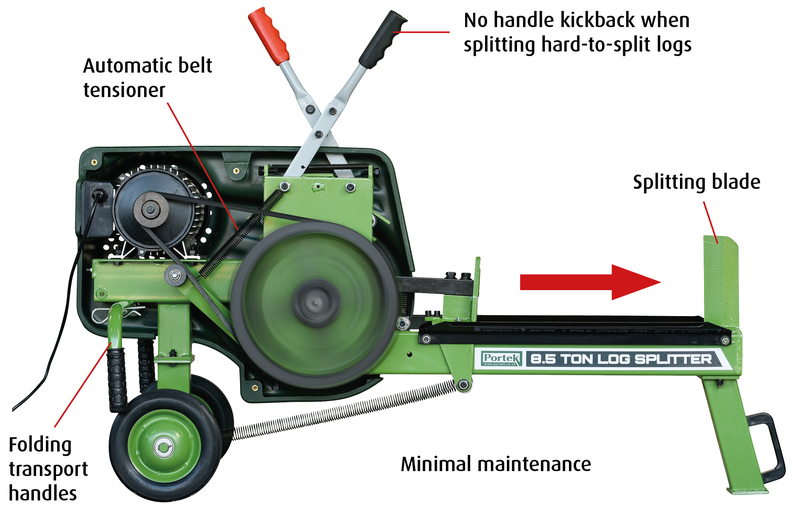 For the release mechanism, two hands are needed. 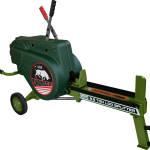 One to engage the drive mechanism, the other to release the ram. 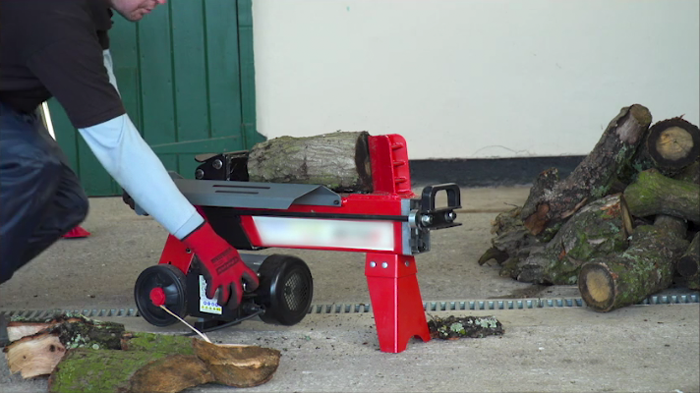 The ram springs back in no time at all, ready for the next log. 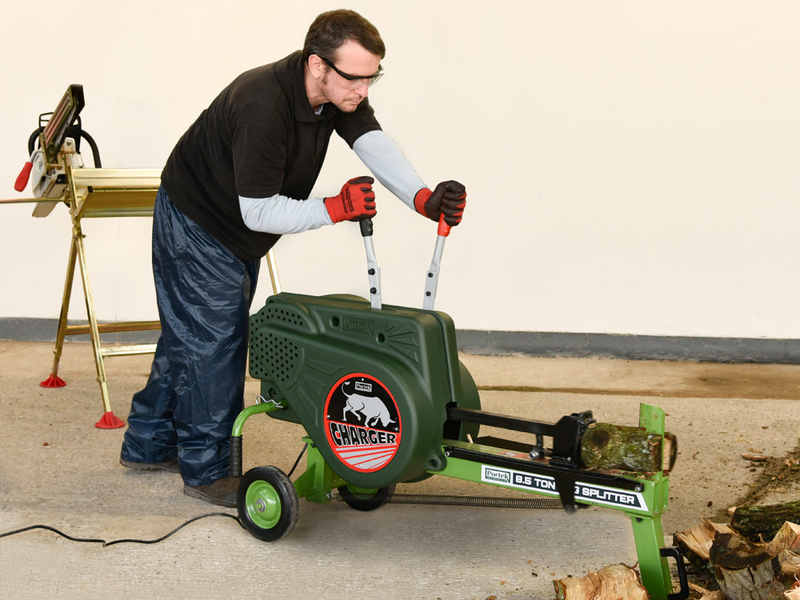 The heavy duty steel guards ensures you are safe from the mechanics – and the safety switch is located next to the handles, for extra fast stopping if required. 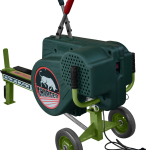 Extensively field tested with Portek’s own design it’s a robust and amazing machine to save time and backache! 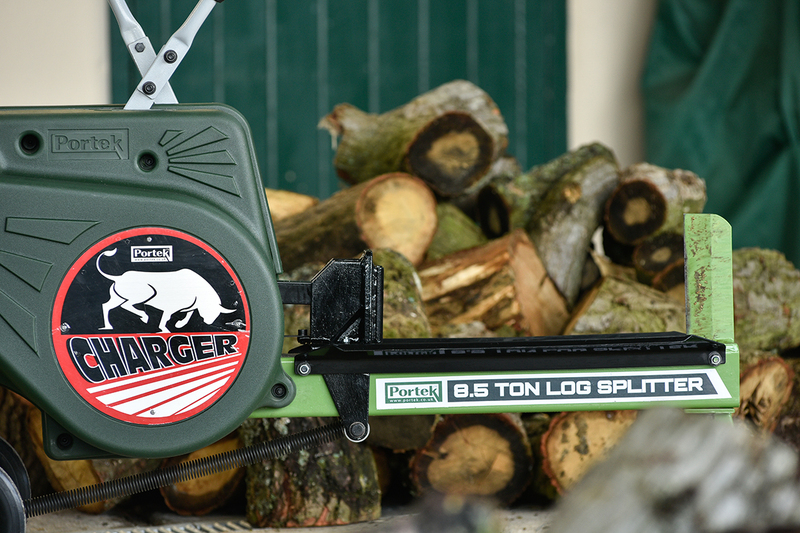 This Revolutionary Machine Will Change The Way You Split Logs Forever! 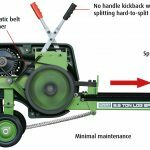 x10 FASTER THAN HYDRAULIC SPLITTERS! 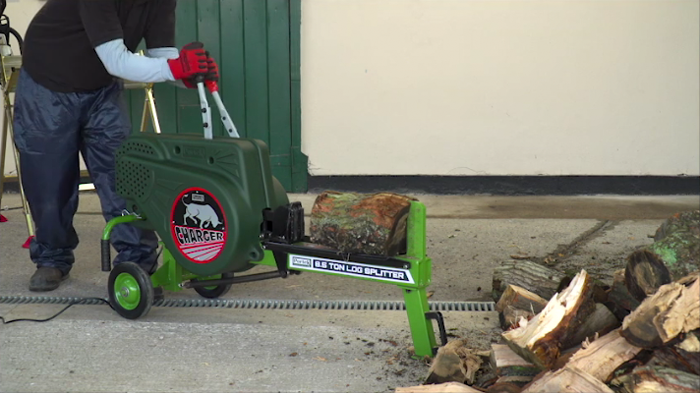 USES KINETIC ENERGY TO SPLIT LOGS FAST! 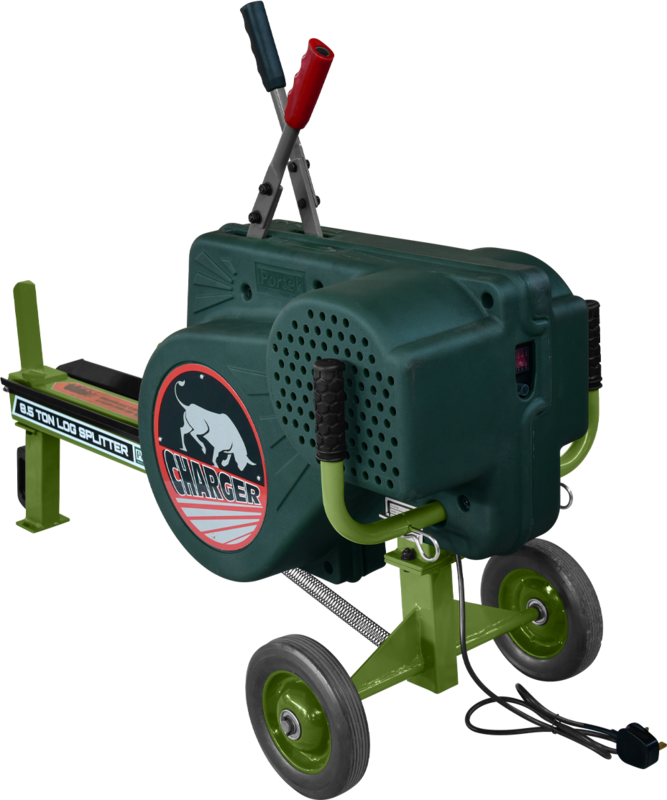 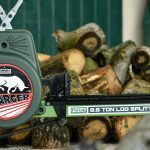 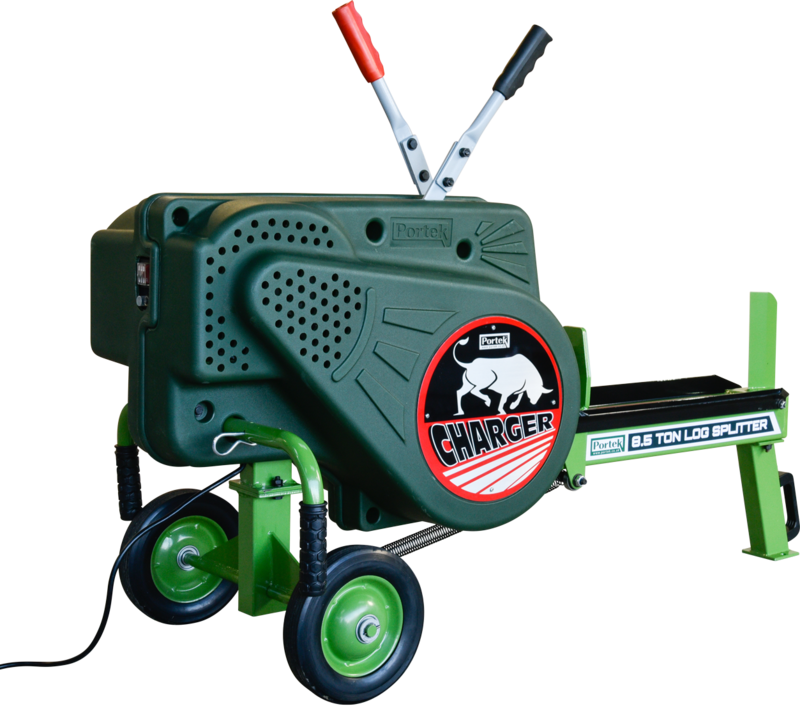 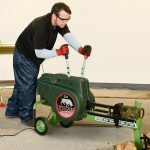 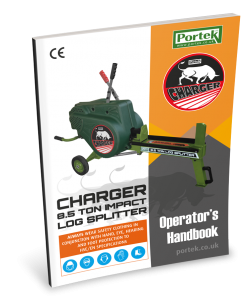 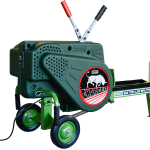 For maximum results use the Charger log splitter alongside the Logmaster sawhorse – 17kg plated steel, 120kg capacity and telescopic legs to adjust work height. 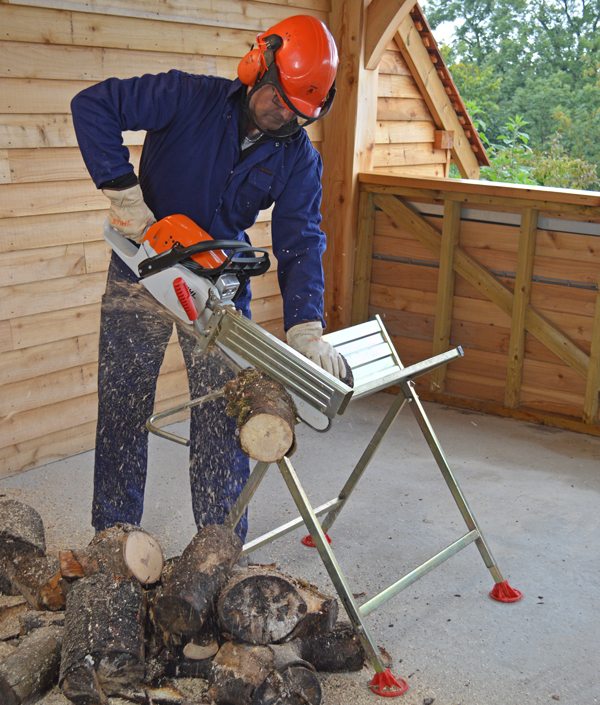 The safest and strongest chainsaw mounted log bench available!